A balti is a type of fast cooked curry cooked and served up in a type of wok made of pressed steel. It is served in many restaurants in the United Kingdom. Restaurants in Birmingham, UK offered Balti dishes from the 1980s or earlier. The style of cuisine became known throughout the UK during the 1990s. Left: A Balti dish is a curry served (and often also cooked) in a balti, a distinctive flat-bottomed wok. Balti houses have a reputation as being inexpensive places to eat. In part, this is because they commonly have no alcohol licence. The interior of a typical Birmingham balti house is traditionally simple. Some balti houses have a sheet of glass on the table top with menus secured underneath. Balti houses often offer very large "Karack" naan bread pieces, meant to be shared by the whole table. The food and its style of presentation proved very popular during the 1980s and grew in the 1990s; Balti restaurants gradually opened up throughout the West Midlands and then a large part of Britain. The expanded curry market in Britain is now said to be worth some £4 billion annually; but some still claim that it is impossible get a 'proper' Balti outside the urban West Midlands. 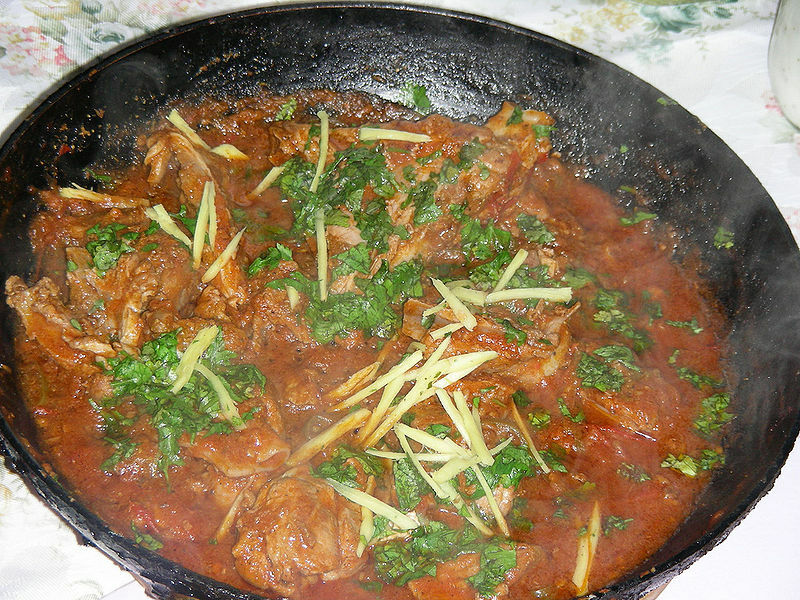 Balti cuisine remains popular in the UK.